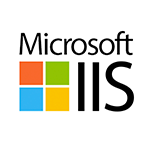 The Microsoft Internet Information Services (IIS) monitor is a SignalFx Smart Agent monitor used to report metrics about Microsoft IIS. The code for the monitor can be found here. Please refer to the SignalFx Smart Agent documentation for more information about this monitor. Follow the configuration instructions for the Microsoft IIS monitor in the SignalFx Smart Agent documentation. The unique identifier of this process. ID Process numbers are reused, so they only identify a process for the lifetime of that process. The percentage of elapsed time that all process threads used the processor to execution instructions. Code executed to handle some hardware interrupts and trap conditions are included in this count. The current size, in bytes, of memory that this process has allocated that cannot be shared with other processes. The number of threads currently active in this process. Every running process has at least one thread. The current size, in bytes, of the virtual address space the process is using. Use of virtual address space does not necessarily imply corresponding use of either disk or main memory pages. Virtual space is finite, and the process can limit its ability to load libraries. The current size, in bytes, of the Working Set of this process. The Working Set is the set of memory pages touched recently by the threads in the process. If free memory in the computer is above a threshold, pages are left in the Working Set of a process even if they are not in use. When free memory falls below a threshold, pages are trimmed from Working Sets. If they are needed, they will then be soft-faulted back into the Working Set before leaving main memory.